Meiling Lee manages new business development in local and international markets. She has over 13 years of experience in real estate sales and marketing. 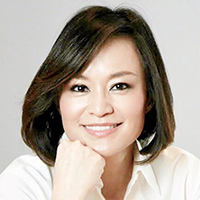 Prior to joining Strategic Capital, Meiling worked as an independent contractor for global real estate brokerages including Sotheby’s International Realty, where she established and led a team focused on the corporate business development and servicing Chinese-American communities. Originally from Taiwan, Meiling lived in Texas and New York prior to moving to New Jersey.